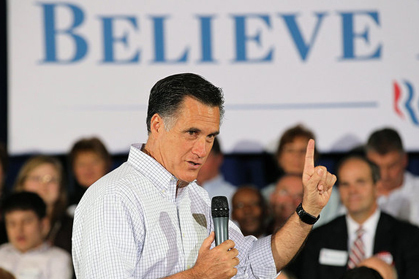 Mitt Romney’s Mormon faith teaches that Jesus visited Missouri between his death and resurrection and that the Garden of Eden is located there. Pretty bizarre don’t you think but the next occupant of the White House will hold it as a tenet of his faith. Most religions have strange beliefs but somehow Jesus in Missouri does blow my mind quite a bit. Mormonism is unique in the sense that it is an American-founded, funded and based religion, which may be why it is so popular and growing here. It was the Scientology of its day, bitterly resisted by the established religions, and based on an heretical concept as far as they were concerned. Scientology preaches we are descended from aliens who came a calling millenniums ago. Whether Joseph Smith was directed in the 1820s in Palmyra, New York by an angel named Moroni to a set of buried golden plates containing the ancient script that created his new religion is highly debatable. Perhaps no more debatable that Jesus rose form the dead but certainly passing strange. Imagine if someone appeared today and made the same claims – every network would have investigative reporters on the case seeking to expose a fraud. Nonetheless, Smith and his successor Brigham Young convinced millions it was all true and the Mormon religion was founded and has lasted and prospered. Me I’ll take and leave religion as far as it goes and people are welcome to believe or not. But there is something about Jesus arriving in Missouri that upsets my critical faculties more than almost anything.